What are Blackhat SEO Techniques & its effect on Search Engines? Blackhat SEO is a select set of techniques that should not be used for search engine optimization of any website.Most of these techniques are devised to get a better page rank, by using unethical methods disapproved by most search engines. If you use any of these following Blackhat SEO Techniques, chances are more for your website to disappear from SERP results soon or later. One of the oldest Blackhat SEO techniques is hidden text, which is done by changing the text color to that of the background to hide the keywords or text. Some smart ones even hide the links the same way as keywords. But nowadays the search engine crawlers easily find out these Blackhat SEO techniques. Link Farms are not just a single website which provides links, rather a group of websites that will have irrelevant links to every other website in that group. Even though link exchange is allowed from other websites, the search engines don’t encourage this high volume of links being exchanged. So link farming is also considered as spam indexing. Since keywords are the basis of SEO, some overdo with keywords like using keywords repeatedly. Keyword stuffing is nothing but stuffing related or unrelated keywords into a webpage repeatedly, as if making the content look good to search engines. Some push in the misappropriate keywords that are not related to image into the alt tags, which are used to display images is also keyword stuffing. Keyword stuffing was used in the past to get the best search engine ranking and visibility for particular phrases. Keyword stuffing is no more considered by search engines but rather considered spam. Doorway pages are pages that have nothing to do with website but created for search engines. Usually these pages are dumped with the major keywords to attract search engine spiders. Previously this technique has earned higher ranking for websites, so with more pages the website gets listed more than once in the SERP pages. Doorway pages are also known by the names bridge pages, portal pages, jump pages, gateway pages, entry pages. Web Scraping is a method where a content of probably a better ranked competitor website is stored in another site known as a “Scrapper Site”. The Scrapper Site would be made visible for search engines while indexing, but when the user searches for the keywords the content of the original site is made available. Usually a scrapper site found by search engines will be eliminated in the SERP but some search engine consider it in the supplemental search pages. Usually to promote a website the webmasters use social networking, book marking sites, forums, and blogs by adding the links. Now users just for the sake of promoting their websites flood these sites with more links of their own. Since the purpose of having these sites is to have genuine links, instead stuffing ones own website links is considered link flooding. Link doping refers to the practice and effects of embedding a large number of gratuitous hyperlinks on a website, in exchange for reciprocal links. Link doping is common in blog, social networking or book marking sites where one needs to add hyperlinks while blogging or book marking. Many users add a hyperlink of the websites they have never visited or add the hyperlinks of their own websites just for promotion is termed Link Doping. Link doping can give undue advantage for an irrelevant website to appear higher in SERP page. Spam indexing is otherwise known as search engine spam. It is the method to beat or manipulate the very purpose of indexing followed by the search engines. Since search engines always tries to give the user the relevant content, spamming of any kind like keyword stuffing, hiding links, cloaking etc is generally termed as spam indexing. Referrer spam is a method used by websites to make URL request to another website repeatedly using a duplicate URL. Since search engines consider the referral links of the other website for indexing, enables the spam website that used referrer spam to get indexed. Following any one of the Blackhat SEO techniques listed above may make you loose the page rank of your website or even chances of getting banned by the search engines is more. So any Blackhat SEO method will end up the prospects of your website in very short time. 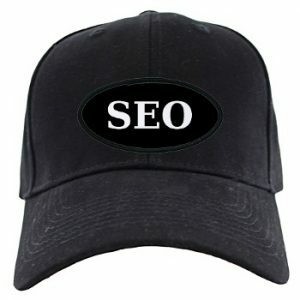 What is Black Hat Seo?? Black Hats work in the clients’ interest, plus protecting and promoting self. Black Hats insist on grey hats, and deny the existence of Black or White. Very, very few admit to owning a Black Hat, though many boast of their achievements. Go figure. Black Hats would be prepared, willing and happy to deceive search engines (and thus search engine users) in client’s interest. Black Hats may be willing to deceive the client about methods: “results are all”. Black Hats see search engines as the enemy; deceit is the name of the game, SEs are constantly looking to expose trickery and penalize guilty sites. Black Hats emphasize off-site methods, getting ‘bums on seats’, with the hope that a percentage will convert, or at least return by another route. 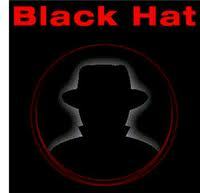 Black Hats emphasize rapid results, accept risks, confident of a new fix, as older tricks are neutralized. Black Hats boast of income, but do not concede that this is arguably defrauded from displaced better sites, and deny potential illegality. They will not even discuss it. Black Hats believe that ‘White Hats’ all secretly use ‘Black Hat’ techniques, and are all ‘holier than thou’ hypocrites. Black Hats believe in the survival of the fittest, and have no time for wimps. For Black Hats, it’s all about technique.